I love Polly. I love Polly's sass. She is so unapologetically sassy and witty and clever and I seriously love it so much. End of story. 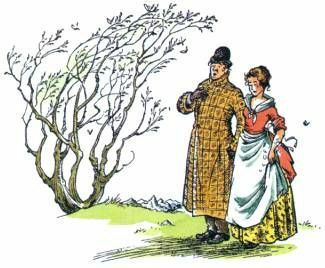 Ok so you know how at the beginning of the book it goes: "In those days Mr. Sherlock Holmes was still living in Baker Street.." I don't really know why but every time I read it, it makes me smile. Every. Single. Time. Mainly because I love Sherlock Holmes. I love how Lewis just like 'what do you mean Sherlock Holmes isn't real? Everybody knows when Sherlock Holmes lived in Baker Street! Of course that's a perfectly reasonable way to remember a certain era!' Again. It makes me smile. There's something about Charn. Every time I read the Chapter about Charn I just wish there was more. 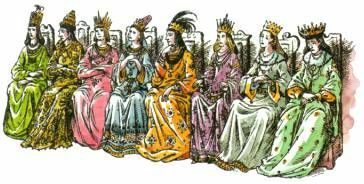 Like more history, more stories... Who were the kings and queens in the hall of images?? I honestly think that Charn was one of the richest, most dynamic, wonderful and mysterious settings Lewis created, and I genuinely wish there was more about that place. Is it to late to ask for a spinoff series?? I LOVE THE BULLDOG SO MUCH WHAT??!!! The bulldog who shows up for a little bit when Narnia is created is honestly my favorite part of the book. Like seriously. He is so. flipping. adorable. and. funny. I love his polite little quips about the situation and ya. You won't understand till you read about him. Please tell me I'm not the only one who loves the bulldog??? I just want to give the Cabby a big hug. Like seriously. He's so gruff, but in the most endearing way possible and he just AGH he makes me happy. I love how he is constantly optimistic and just rambles on about things and I love his accent and I love how he talks to Strawberry (the 'orse ) and ya. He is a very good character. I also love how he still embraces Narnia and magic and Aslan with such childlike innocence and faith, and how simple it was for him to admit that he's always known Aslan. Ok. 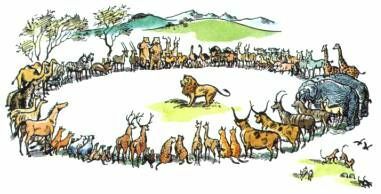 So I think we can all agree that the Narnian animals are pretty flipping cute. Like seriously. Their whole debate about whether or not Uncle Andrew was a tree or an animal, or how they thought the humans were a type of talking lettuce (according to the rabbit) and their whole fuss about the first joke is so incredibly sweet. Not to mention how they named Uncle Andrew 'Brandy' because that's the only thing he was saying. Again, I argue that the animals are absolutely adorable. Frank and Helen. *formerly known as Nellie* All the daws. They are just so sweet. You really don't hear much about them, but from what you read you just get the idea that they are the sweetest, most kind and adorably-in-love couple you can imagine. I smile every time I see a picture of them (the OTP is real) and honestly: just think of how nice it would be to be friends with them. This is one of those times that Lewis' endearing sense of humour comes into play. I honestly don't know what Sarah the maid having the best day of her life has to do with anything, and I still am completely confounded as to why she's having such a wonderful day; but it's one of those things that just make me laugh, while confusing me at the same time. Like seriously? Why is her day so amazing? I am confused. And I honestly don't mind it at all. This is a C. S. Lewis moment that makes me cry. every. time. 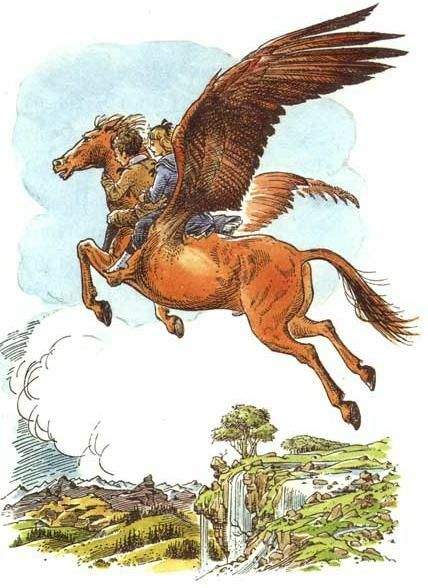 It's not the specific moment when his mother is healed; it's the bit when Digory asks Aslan if there's anything he can do to help, and he looks up to see Aslan weeping, and Aslan says he understands, and that Digory is going to have to trust him. And this hits me right in the feels. *cue the deep talks* I've mentioned this before, but I'm a Type 1 Diabetic. I've had it since I was seven. And it has no cure. And this moment hits me so hard because I've been Digory so many times, weeping, wondering why I haven'y been healed yet, because I know that God can, and then I look up and He's always there, weeping with me, understanding what I feel, and asking me to please, wait. And trust. So ya. This bit gets to me. I actually really love Uncle Andrew. Surprising, I know; but I just love how pathetically despicable he is. He's such a terrible person, and a coward, but I just really love his character. He makes me laugh because he enters the story so proud, and he struts about like the proudest peacock you'll ever see; and then his world is shattered, and he promptly begins to whine about it and be miserable for the rest of the book. He's like a small child, really. I'm constantly amused by him. I really, really like Digory's aunt. A lot. She hardly comes into the story, but when she does, it's impossible not to like this fireball of a woman. 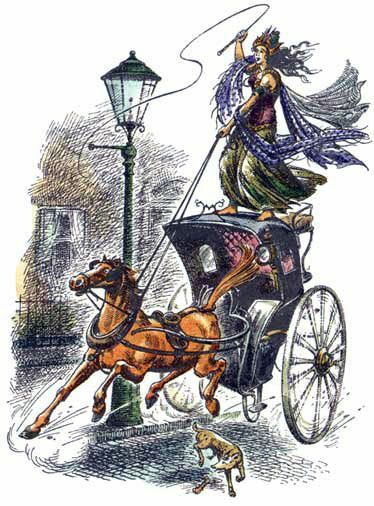 She takes no nonsense, gives her thoughts without your permission and seriously, she got chucked full force across a room by Jadis herself, and yet remained quite unshaken and unharmed afterwards. She literally sat down for a few minutes, had a small drink and then calmly told the maid (who really was having the most splendid day) to call the police. Aunt Letty is a feisty powerhouse, and I love her for it. "'By gum', said Digory, 'don't I just wish I was big enough to punch your head!'" And he (the Cabby) did. He struck up at once a harvest thanksgiving hymn, all about crops being 'safely gathered in.'" "'Now, sir,' said the Bulldog in his business like way, 'are you animal, vegetable, or mineral?" "'Why,' said the Bulldog, 'if a fellow can't trust his nose, what is he to trust?' 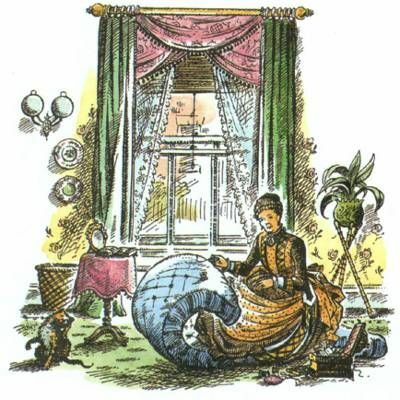 'Well, his brains perhaps,' she (the she-elephant) replied mildly. 'I object to that remark very strongly,' said the Bulldog. "'I object to that remark very strongly,' said the Bulldog." "'But please, please - won't you - can't you give me something that will cure Mother?' Up till then he had been looking at the Lion's great front feet and the huge claws on them; now, in his despair, he looked up at its face. What he saw surprised him as much as anything in his whole life. For the tawny face was bent down near his own and (wonder of wonders) great shining tears stood in the Lion's eyes. They were such big, bright tears compared with Digory's own that for a moment he felt as if the Lion must really be sorrier about his Mother than he was himself. 'My son, my son,' said Aslan. 'I know. Grief is great. Only you and I in this land know that yet. Let us be good to one another. 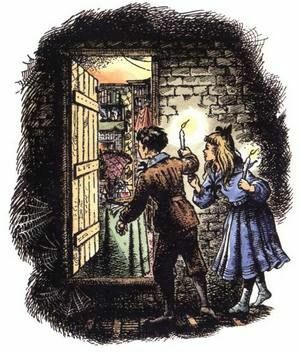 But I have to think of hundreds of years in the life of Narnia.'" 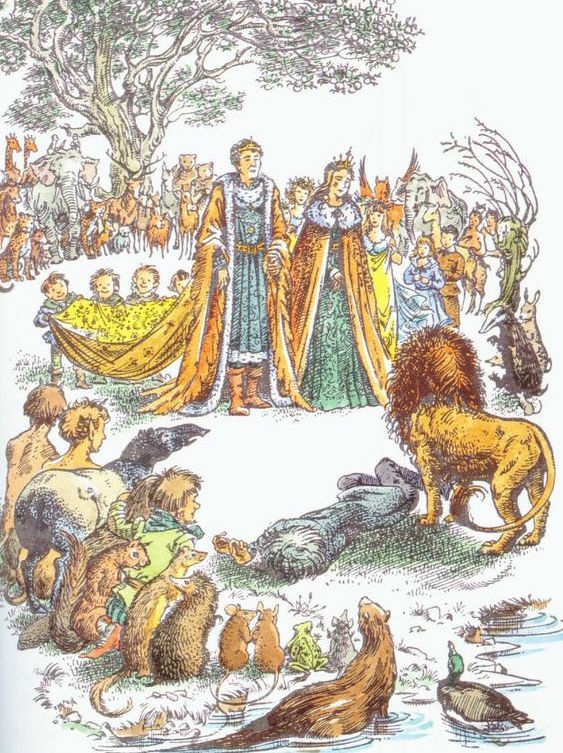 "They ( the animals) were really getting quite fond of their strange pet and hoped that Aslan would allow them to keep it....... They christened him Brandy because he made that noise so often." "'Oh Adam's sons, how cleverly you defend yourselves against all that might do you good!'" All in all? It was a dem fine book sir, a dem fine book. I'VE ALWAYS BEEN SO CURIOUS ABOUT CHARN AND WANTED TO KNOW ALL THE THINGS. It's such a captivating environment to read about. RIGHT YES AGH SOMEONE UNDERSTANDS!!! I love Charn so much. It fascinates me to no end. Like I want to know more about the deplorable word!!! YESSSS!!! I always feel that way after reading this book. Like its just that type of book. Agh. I love it so flipping much. Thanks! There's so many brilliant little parts of Lewis' work that I just love. Basically a ginormous HECK YES to everything in this post. Have you listened to the audio recording done by Kenneth Branagh? BECAUSE IT'S LITERALLY ONE OF MY FAVORITE THINGS. Aw thank you my girl. I'm discovering that that line can be applied to anything, or situation and I'm not mad at it at all. THERE'S AN AUDIO RECORDING BY KENNETH BRANAGH????? How did I not know this??? I only know the Focus on the Family version. Which is also everything.